Growing up in a family where music was an elmentary part of their lives, Anas Ibn Malek Abid started to find his own way of creating a relationship with music. Anas had several projects before he released his first album A Neverending Pain of a Betrayed Man in 2011. One of his projects was Bringers of the 7 Plagues (BO7P) aimed to achieve a new and modern sound of metal through fusing various streams of the metal genre such as Extreme Metal, Groove and Modern Trash. The material was released during 2011-2012, but when the drummer and the vocalist broke up, and Anas did not find a replacement, he choose to continue to play on his own, but this does not mean that Anas has not tried to find other channels to continue his musical journey. He has had other projects where he collaborated with other artists, one of them was Genesis Chamber. An album was written but only one single song was released. As mentioned before Anas was born into a family, where music was quite common. His brother used to play guitar as Anas remembers. His mother fostered Anas’s love for music and she got him a classical guitar. One of his first guitars was a simple Yamaha for leftists. He did not take guitar lessons, but taught himself the guitar.using different tools such as Guitar Pro Tabs and watching videos of John Petrucci (Dream Theater) and Rusty Cooley for the techniqual side. Anas admits that at least in the beginning his music was very much influenced by bands such as Dream Theater where John Petrucci is the guitarist. 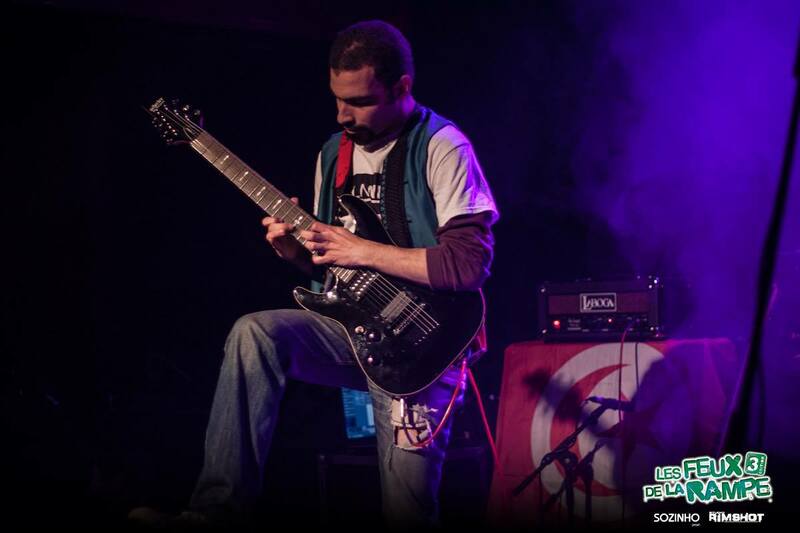 Since I have been into Maghrebian and pure Arab music during my childhood, I do my best to mix my roots with metal music even if I enjoy to play strictly modern metal. The fury and the enegery given by metal attracts as much as the melancholy and joy we can feel in classical, or occidental music. Therefore I try to mix all of that in order to bring something new and fresh and build my own musical identity. One of his first gigs was in 2006, when he attended a festival and played his own songs. He played on the opening night of the MGF which gave him the opportunity to play on Radio and TV. During this phase he released his first demo called Experiences in November 2007. This was the first time for him to record his material properly. After its release it met a positive response. He is writing a lot of material and is expressing himself every time in a different way. Although he is mainly focusing on metal, he uses a lot of other genres and experiments with them. Toulouse has a rich music culture and especially rock and jazz are present since the 1970s. 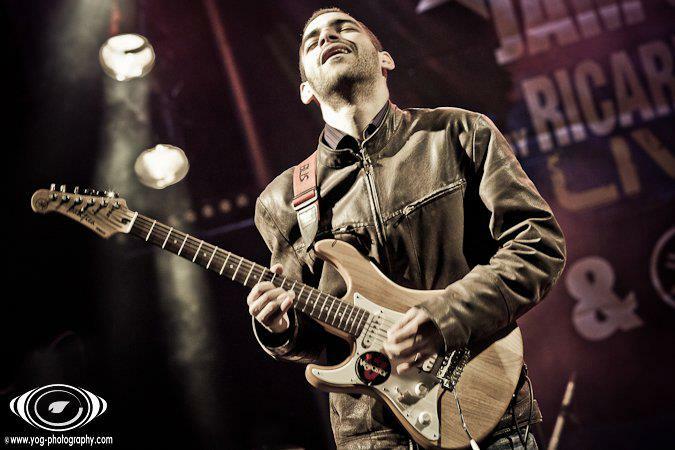 The impact of moving from Tunis to Toulouse in southern France was that it became easier for Anas to have access to the music business in general. It must have been quite different from living in Tunis where finding good gears is difficult. Since his move to Toulouse he has written a lot of new material and has begun a new phase of being more professional on his musical journey. He has met a lot of people in Toulouse with whom he has worked and exchanged skills.His sound is aggressive and loud and often instrumental. The more interesting songs are where Anas tries to fuse the various streams with Jazz such as in the song Strife or Dance of the Sun which he has written in 2014. In Addition to this he describes “his (musical) universe” as dark and gloomy. His last Album “Delusional Thoughts” was released in 2014 and his next instrumental EP “The Downward Spiral” is coming out soon.